As Anglicans, we are part of the Anglican Communion, which is a global relationship of churches that began with the English Reformation. The Anglican church is experiencing tremendous growth and renewal in many locations, particularly the developing world. There are over 70 million Anglicans in the world today, and the majority live in Africa and Asia. Our worship is both ancient and modern. 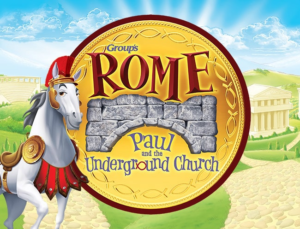 Anglicans have always upheld the Holy Scriptures as God’s Word and we stand on the two great creeds, the Apostles’ and Nicene, as the fundamental statements of Christian belief. We celebrate the sacraments of Baptism and the Lord’s Supper, as commanded by Jesus, and we uphold the historic order of Bishops in the administration of the church’s life and mission. Our approach to worship, based in ancient practice, engages the senses—connecting with people’s hearts and minds. As a result, Anglican churches are in a unique place to capture the imagination of a society immersed in the images of the media and internet. The Most Reverend Doctor Foley Beach was elected the Archbishop of the Anglican Church in North America on June 22, 2014. 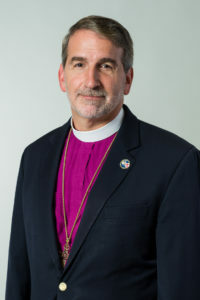 He is also the Bishop of the Anglican Diocese of the South, headquartered in a suburb of Atlanta, Georgia. Archbishop Beach is a graduate of Georgia State University, the University of the South, and Gordon-Conwell Theological Seminary. He began his ministry by serving teenagers through Young Life. Prior to serving as archbishop and bishop, he planted and led Holy Cross Anglican Church in Loganville, Georgia. Archbishop Beach can be heard on radio stations in the U.S. and around the world via his teaching ministry, A Word from the Lord, and his One-Minute Message, an evangelism outreach to the unchurched. He and his wife are life-long Georgians, and have two adult children. The Rt. Rev. Steven Breedlove was born in Tyler, Texas, and attended Washington & Lee University and Dallas Theological Seminary. In 2005, he was ordained as an Anglican priest of the Church of Rwanda and served in pastoral leadership at Church of the Apostles. He was then sent out with a group from Apostles to plant All Saints Church of Chapel Hill/Durham. In June 2012, he resigned from parish ministry, was nominated to be come a bishop, and became the Presider pro tem of PEARUSA under the appointment of Archbishop Onesphore Rwaje. He was consecrated a bishop in the Anglican Church of Rwanda and in the Anglican Church of North America in October 2012, and now serves as Presider of PEARUSA, the Missionary District of the Anglican Church of Rwanda to North America. Steve and his wife, Sally, were married in 1972, and together they served in non-denominational community churches for 29 years in the US and Canada. They have five children, all of whom are now married, and nine grandchildren.